How many R-clips are in this container? 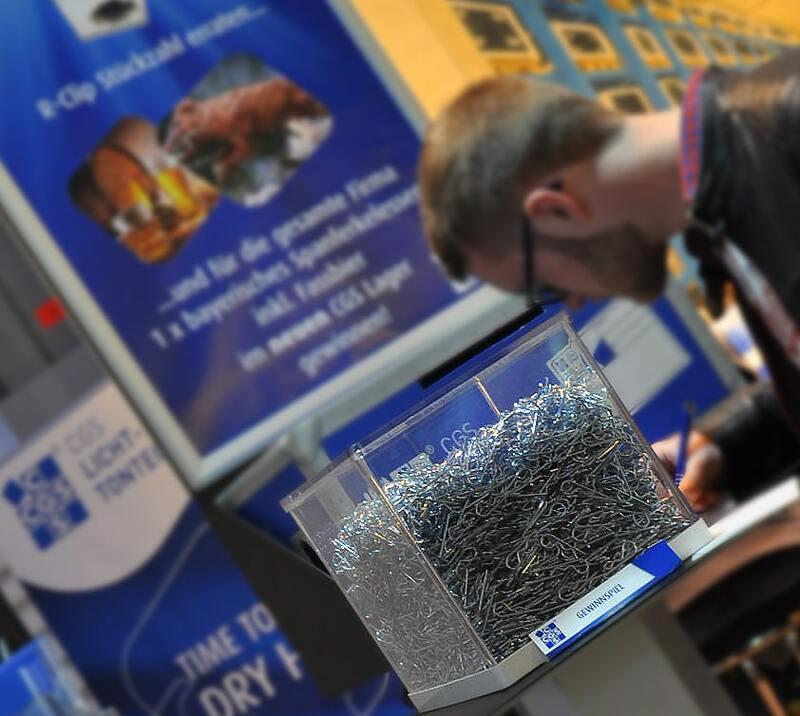 CGS Licht- und Tontechnik uses this question for a lottery. Visitors can win a Bavarian Speanferkel meal including draft beer in the new CGS warehouse. Anyone who wants to join and win can do so today in Hall 4.0 at Stand A26. PLS 2015: Secure your early bird discount today!